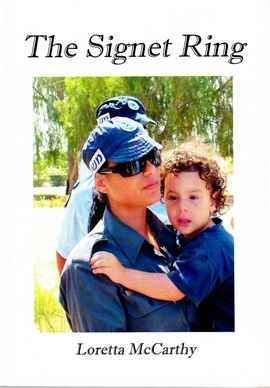 Loretta & Ned, image courtesy the author. 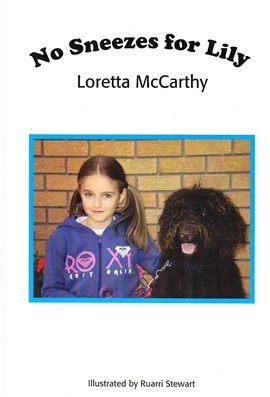 Loretta McCarthy has penned a number of books, both adult and children's fiction. Born in Melbourne, and trained as a teacher, Loretta found herself in classrooms in Victoria, Queensland and finally Tasmania, where she now lives. Often life-changing events, although tragic in themselves, can also bring great personal rewards during the healing process. This has been so for Loretta, who as part of the recovery from a dreadful road traffic accident took to writing as a means of self expression. From the chaos of those times came her first novel, The Bride Price, (2004) where, although fiction, the author could take the opportunity to explore aspects of her own Jewish heritage from the maternal side of her family, going back through to her grandfather, Jack Davis and beyond. 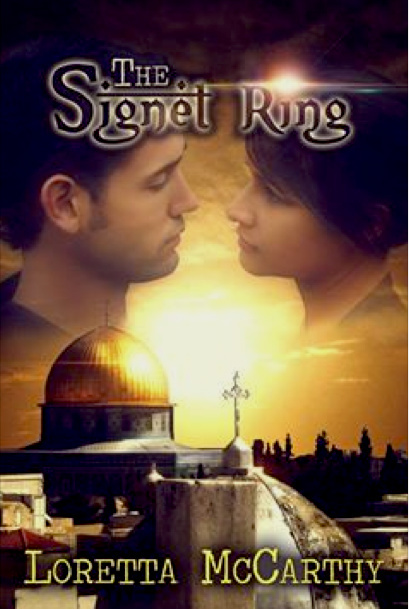 The second novel, The Signet Ring, was released in 2007, and now Reluctant Deliverer, Moshe the Untold Story, has finally been released (2013). 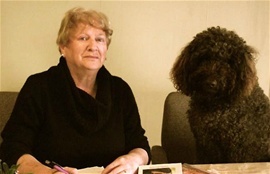 In a life other than that of an author, Loretta shares her home with her family - including two companiable labradoodles, Ned and Sharni, who were inspirational in the creation of No Sneezes for Lily, a charming story of a young girl who desperately would love to have a pet, but she has a severe problem. Ned and Sharni are a couple of characters in themselves, Ned is reserved, while Sharnie is exuberant and has no idea she isn't human. 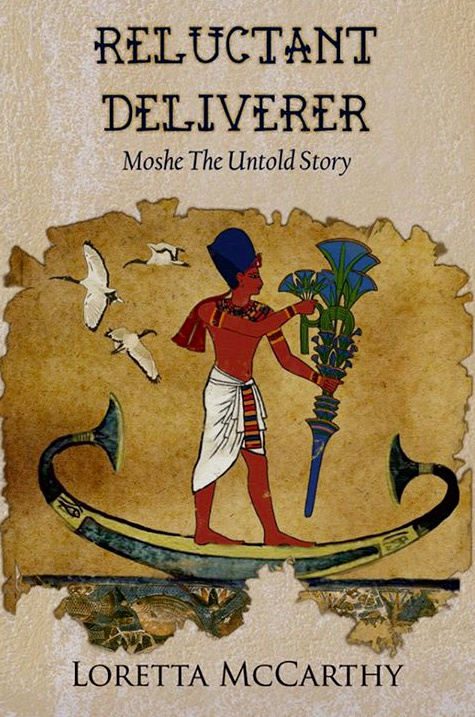 Loretta McCarthy is pleased to be able to release Reluctant Deliverer, Moshe The Untold Story. Set in Egypt, this historical fiction tells a story of ambition, deceit, murder and exile spanning a 40-year period. The re-release of The Signet Ring by author Loretta McCarthy is due out in early September, 2013. Author Loretta McCarthy's fictional novel, The Signet Ring. The Signet Ring originally written in 2007 is the second novel penned by author Loretta McCarthy. Soon to be re-released, here she again explores aspects of Judaism through her author's eyes and through her character, Australian journalist Charles Broden, who is in Israel on an assignment that will be for him if he can pull off the vital interviews a career coup. 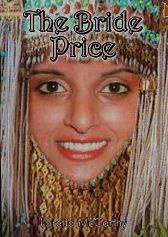 The Bride Price, the first fictional novel written by Loretta McCarthy. While recovering from a serious car accident, author Loretta McCarthy found part of the key to her recovery was to engross herself in both exploration of her own Jewish background and finding her way through writing her fist novel, The Bride Price, released in 2004. The story takes the reader on a journey, unravelling the story behind the 'bride price', the family heirloom secreted away in a vault in Zurich, Switzerland and unattainable to the family. No Sneezes for Lily is a deviation from the adult fiction Loretta McCarthy is known for writing. Directed towards tots aged 5+, this children's story is a delightful tale of how finding a true and loving companion to help you through the maze of growing up can be found for anyone, and Lily was no exception. Wonderfully illustrated by Ruarri Stewart, this book is available from the following sources.